The firm has presented an argument for aviation companies to provide cellular coverage to its passengers. 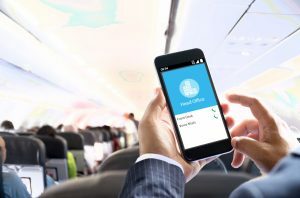 It outlines the value of deploying small cells to improve the efficiency of in-flight connectivity with cellular coverage. According to ip.access, to date, the focus for airlines has been on Wi-Fi, which is struggling to deliver the capacity that customers need and expect. The firm claims providing 3G and 4G connectivity in-flight would radically increase the capacity of their wireless networks. The firm suggests that Wi-Fi and cellular are complementary and can both be offered in-flight. Ash believes airlines can also benefit with the potential to open up new revenue streams via mobile network operators as a small cell with spectrum sharing capabilities would allow all mobile networks to provide coverage to its customers on planes.